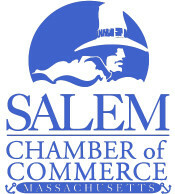 Organized jointly by SalemRecycles and The Bridge at 211, the Salem’s sixth Repair Café will take place on Saturday, April 6 from 9am until noon (last appointment at 11:30) at The Bridge at 211. Repair volunteers will be available to mend clothing, sew buttons, sharpen scissors and knives, tinker with or rewire electronics and lamps, and glue wooden furniture and ceramics. NOTE: Please use entrance on Bridge Street. There are a very limited number of pre-registration slots available. Contact Julie at jrose@salem.com or 978-619-5679.